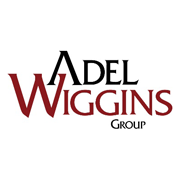 Adel Wiggins | Absolute Exhibits, Inc. It was truly our pleasure. We were very happy with the booth this year! My boss and our President very complimentary and please with the booth design and layout. Want to especially send our thanks to Frank, we appreciate the extra help it getting our booth organized and the “curve balls” we created were handled in a very professional manner. Thank you again.